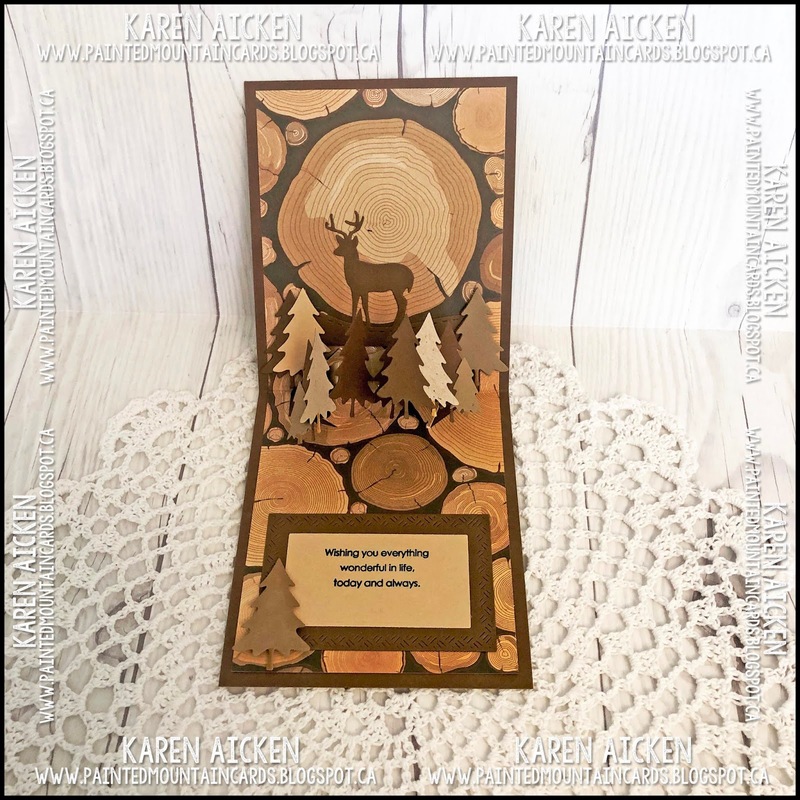 We are starting off the New Year with a BANG ... specifically, Karen Burniston's Designer Challenge. The first one of 2019 and the theme is "NEW: try something new to you. Is it a technique? A color scheme? A style (cute? grungy?) Here's your chance to usher in the new year with something new." With a theme of new, and the first day of a brand new year, a Happy New Years card was the first thing I thought of doing. 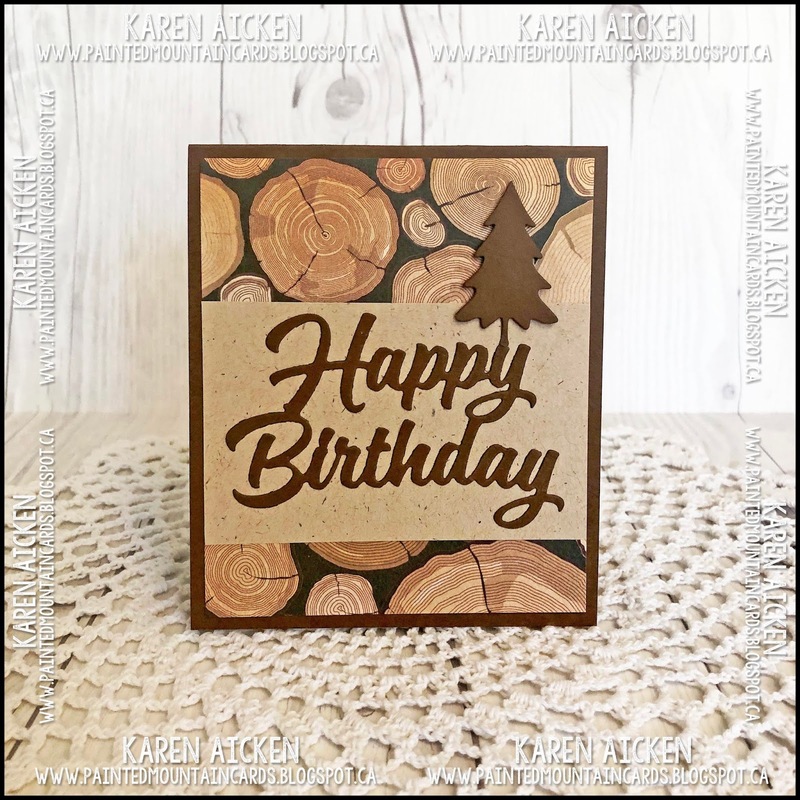 But I didn't have a need for one, so rather than make a card just to make a card, I decided to try a NEW-TO-ME technique using the Snowman Twist Circle. This was based on Karen Burniston's amazing card and accompanying video for her November 2019 Designer Challenge. I will link the video at the end of the post. Here is the card as it is opening, and you can see there are a bunch more trees inside. Fully open, the card displays a little 'forest' with a deer silhouette in the background. 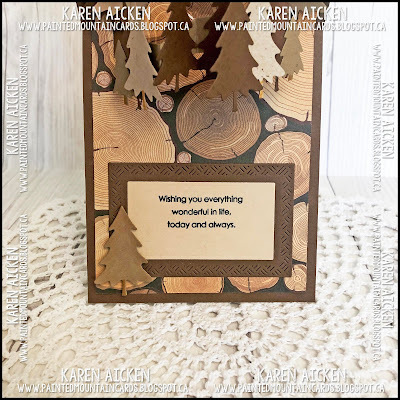 I used the Crosshatch Rectangles as a framed area for my sentiment. With all the roundness in the background paper I wanted to break that up with some straight edges. 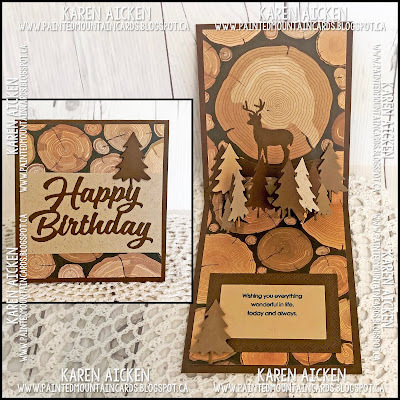 The deer is from the Outdoor Scene die set, which is another set that stays out on my stamping table all the time because I reach for it so often. 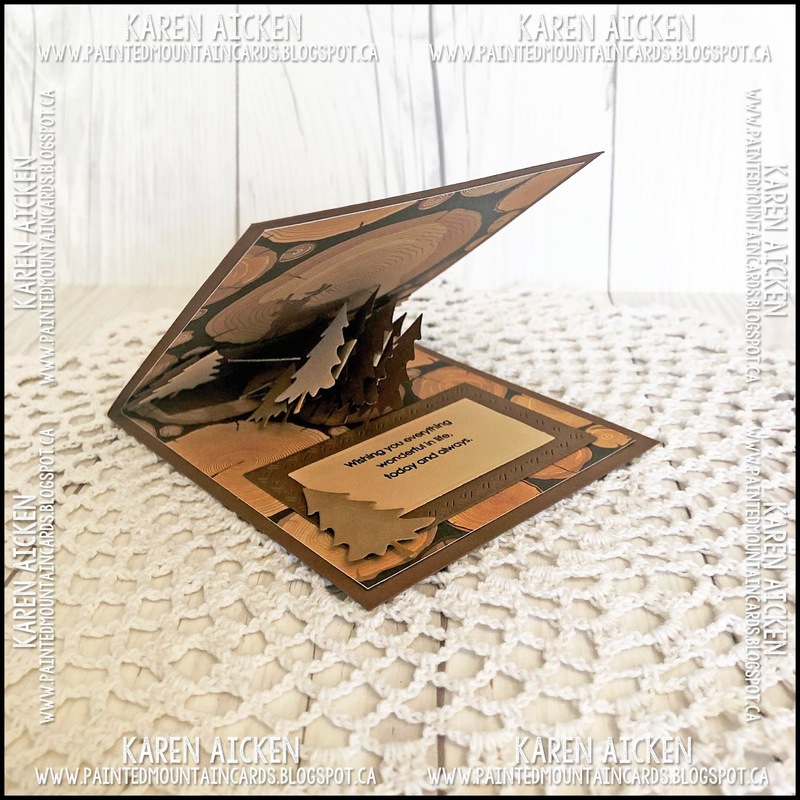 Finally, for those that like to pin card fronts and insides together ... here you go! 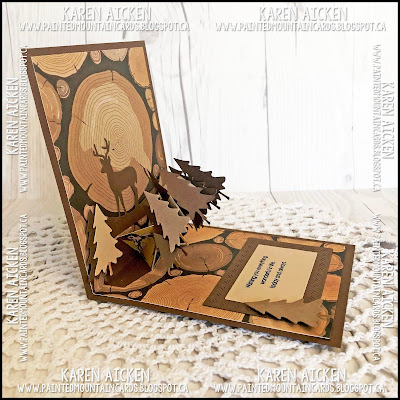 I hope you will check out what the rest of the Design Team came up for this Designer Challenge - their blogs are all linked on the right. 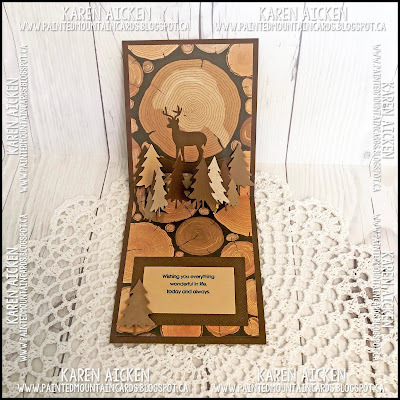 Karen Burniston will have her project and a group post tomorrow (Wednesday) on her BLOG. 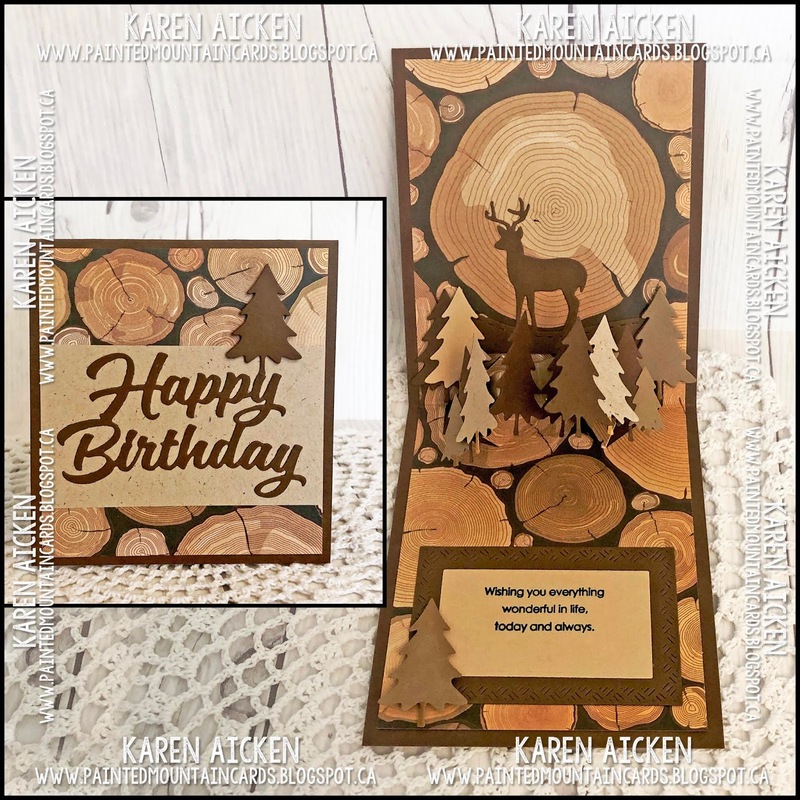 If you want to check out Karen Burniston's complete 'how to' video for her card that inspired mine, click HERE. 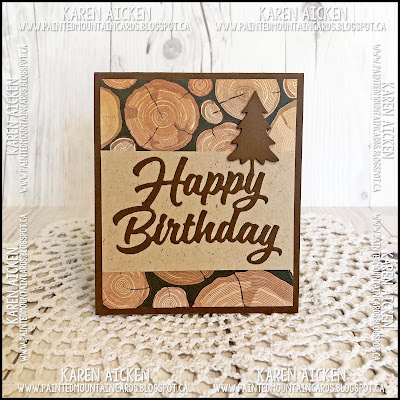 Card size - 4-1/4 x 5", fits in a standard A2 envelope. 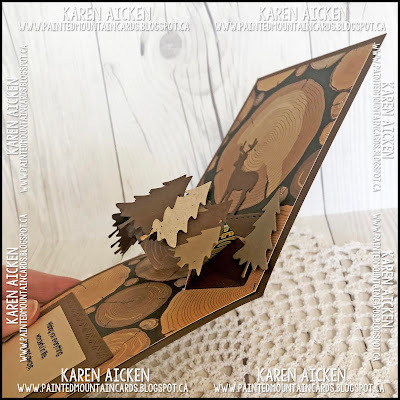 This is an amazing card, it creates quite an illusion of a deep forest between the pattern paper and the trees; it made me look twice! I also need an occasion or have someone in mind to make a card for. This one is sure to please the recipient you have in mind!